The other night, the camel was tuned in to some random music awards show. I think there is one of these every month. This one was the American BillTVHeartIBoardMChoice Featuring Bob’s Favorite songs Award Show. Maybe not. All I know for sure is, the camel wasn’t watching the Grammy’s. So they are handing out these awards AND the camel pointed out all the AND categories. Rock AND Roll. Rhythm AND Blues. Country AND Western. The Captain AND Tennille. One of those we made up. You decide. So, we were wandering on the origin of the AND’s and realized some of the AND’s were actually dropped as the years went by. Rock and Roll became Rock. Bye bye Roll. Country and Western became/Country. So long Cowboy campfire songs. Rhythm and Blues: Well hell. nobody really knows to this day what rhythm and blues really are. All songs generally have rhythm so you can’t just drop Blues and have a Rhythm category and if you drop Rhythm, then all you have is Blues and there already is a Blues category. So, Rhythm and Blues remains a category for those music awards shows, but it is generally abbreviated now to R&B. From November 30, 1963 to January 23, 1965 there were no Billboard R&B singles charts. No specific reason has ever been given as to why Billboard ceased releasing R&B charts, but the prevailing wisdom is that the chart methodology used was being questioned, since more and more Caucasian acts were reaching number-one on the R&B chart. Oddly, this was when Motown was reaching its peak. But, I digress. Or, should I say Wedwand wandered off topic a tad? Lets for a moment pay tribute to the forgotten ROLL that has been missing in action of late for the music category Rock AND Roll. Bring back the roll. Vote for your favorite Roll song. If you don’t see it here, feel free to nominate one of your own. 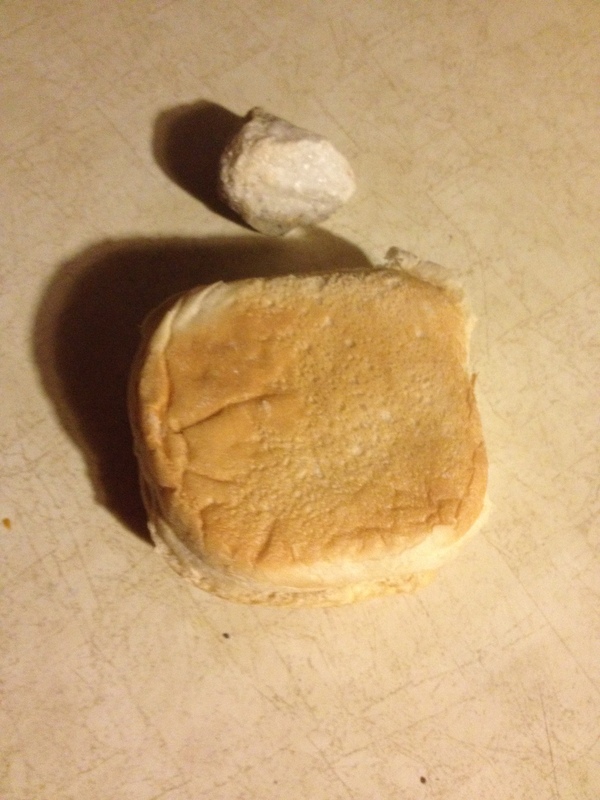 FOOTNOTE: I know you are wondering why the cover photo seems to be a stone and a bun. The answer is easy. It’s not. In reality, it’s a rock and roll. See ya next week. Thanks for reading. But he’s my love and one man show. I heard this song twice on the radio last week. Normally, this song does nothing for me independent of the movie scene associated with it. But the instant it comes on the radio, there is a flash to a country boy learning to dance, painfully awkward in the beginning, Texas two-step wonder three minutes and nine seconds later by the end of the song. The song is associated with a movie scene and it makes you wanna crank the volume when you recall that scene. In this instance, the movie is Footloose, originally released in 1984. Remade in 2011. Movie scene associated songs seem to go hand in hand with some classic movies from the 80’s. Though not necessarily classic by movie award winning standards, those movies made us feel good, taught a minor life lesson and had some contemporary songs to make the movie memorable. Of course, there were some hot chicks and good looking guys both of which were easy on the eyes. They were fun. Normally, the camel painstakingly researches such things, but he will shoot straight from the hump on this topic. Two things influenced the use of contemporary music into the main stream movie media. Feel free to add a complementary or conflicting comment if you disagree. 1. Camel logic says it all began in 1977 with the Disco smash movie, Saturday Night Fever. Contemporary dance songs blared through movie speakers with a high quality that nobody had at home in those days. And we all went to see it five or six times and learned the dances at home and bought a white suit and learned to walk in rhythm swinging a bucket of paint and bought a disco ball and uh wait. That wasn’t me, really it wasn’t. But I heard a lot of people did that after seeing the movie and drank 7-7’s and well, that wasn’t me so I don’t know the rest of what others did. Yes, that was a Ferrari Daytona Spyder and a phone booth in the same scene. OK. That’s the first and last video clip Wedwand will show for this entry. This is a theater of the mind. Wedwand will mention the movie, the primary song and the secondary song. (Yes, most of these movies had at least two songs.) The reader will conjure their imagination and recall the scene(s) associated with the tune and let that very thought transport them in time. These two entities are mutually coexistent. In the absence of the song, would the movie have been as good? Likely not. In the absence of the movie, would the song be as popular? Not likely. So close your eyes and come along for the ride. Ok, if you close your eyes, you can’t read any more. Hold tight, new instructions. Read the movie. Read the song. Then close your eyes and I’ll kiss you. As the Beatles said, tomorrow I’ll miss you. Scene: Request permission for a fly by..
O gosh. There’s too many. Eye Of the Tiger, St Elmo’s Fire, Against All Odds, Power Of Love, I’m Alright, In The Air Tonight, Old Time Rock and Roll, The Heat Is On, Ghostbusters. If Hollywood had a “Golden Age” from the late 20’s to the early 60’s, it surely has a “Here’s a Song. Envision the Movie Age” or call it the Wax Age of 80’s movies. Gosh I missed another hundred or so I am sure. Apologies to, Against All Odds, Cruel Summer, In Your Eyes, Maniac, Roxanne, The Heat Is On, Holiday Road, This Must Be The Place, I’m Alright Don’t Nobody Worry Bout Me …..
Got a favorite, let Wedwand know. Cover photo is the empty sky after a Top Gun “fly by” tonight. Gotta be quick or you miss it …. 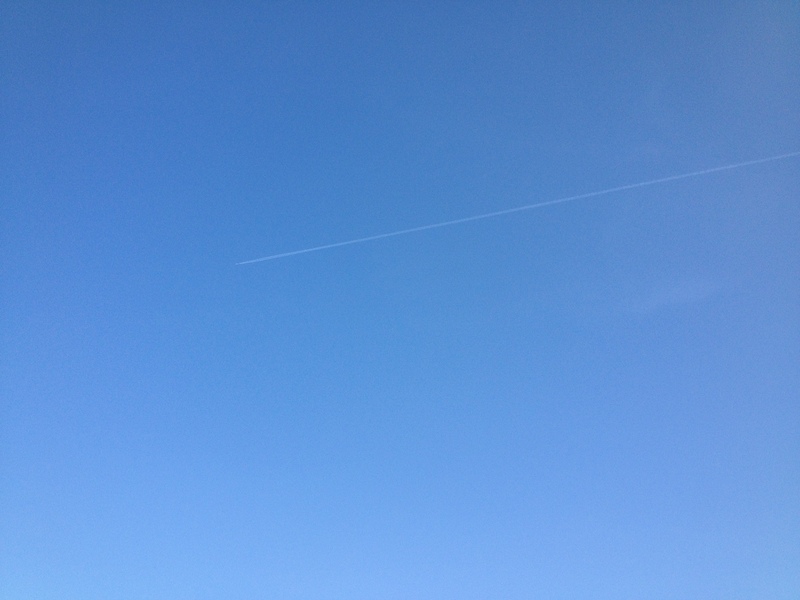 I missed it, but the blue sky is still cool. There are many famous movie trilogies, some good some bad. 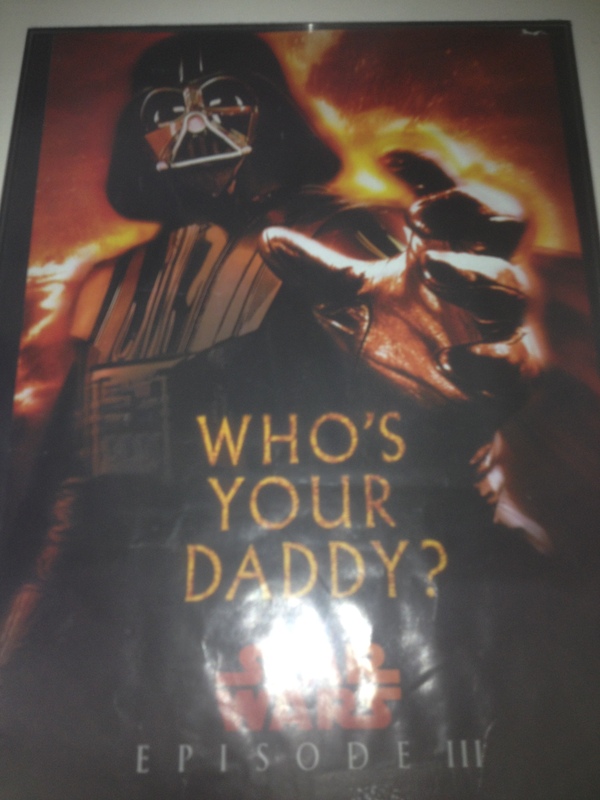 When Wedwand researched this topic it was amazing just how many movie trilogies there were, there were, there were. Overwhelmingly, the Lord of the Rings trilogy was voted the best. Not necessarily in my book. Truth be told, I never read the Tolkien series, tried, but couldn’t get through it. Perhaps that’s why I fell asleep in the first of the LOTR movies and never saw the others. So, I cannot speak to it. However, I am pretty sure the Middle-earth basketball team wouldn’t stand a chance in the NBA, but a 7 game series with the Washington Wizards would be interesting. So when Wedwand reviewed this topic of trilogies, there were Top Ten, Top Twenty and Top Fifty Lists. But, this is a list of Trilogies. Why not Top Three? Favorite Quote: Too many to mention which is what makes it a classic. Here’s Wedwand’s favorite exchange. Why It’s Top Three: Because the past was then, the future is now and is there a better character name than Marty McFly on a skateboard? Why It’s Top Three: Because didn’t we all want our childhood toys come to life? Wedwand invites you to share your favorite Movie Trilogy in case you didn’t see yours here. Please include “Why It’s Top Three” for your nomination.